It's an inlet/outlet into a lake (not Asplangen) that the canal passes through. Last edited by ombugge; February 11th, 2018, 22:57. Where did you find the photo Ombugge? Streetview? The Scandic hotel is just the other side of the road/railway bridge, station behind us. Rather liked Linköping, we stayed there on the route south last year. Congratulations Ombugge! And thank you Mark for such an absolutely super puzzle (and congratulations for exceeding your personal ‘time lasted’ record! ). I felt it was the right kind of scenery but was on the wrong canal with the Göta. I'd remembered that later than my voyages on that canal and into 'digital camera times' by 2002 I had also stayed in Söderköping and walked along the tow path to the end of the canal at Mem - as well as taking the subsequent route through Slätbaken on a local boat trip,so that ruled those stretches of waterway out. It never occurred to me to continue looking through photos of a couple of days later, when, relocated to Linköping, I’'d taken a day trip up the Kinda Canal! This is my photo of the starting point of the boat trip at Tullbron, and I see on a map that the Scandic hotel is across from the landing stage. So as the canal boat proceeds away from, not under, the bridge, I would not have seen the puzzle location! I knew I would have remembered photographing such a thing had I seen it! I can see the little house now though! - I've just been exploring the other side of the bridge on street view. I've been on all three vessels (ship geek! ) but before the present ownership and some renovation in the cabins. Perhaps it's time I returned! PS Apologies in advance for not participating in your next puzzle ombugge - a post in "Seagull away a While" coming up soon. That's lovely Cecilia - especially the photo. Re Mem - yep, visited that previously, what a wonderful, wonderful place! Well, that was a good one! Well done, Ombugge. I'll just have to get a move on and buy a new laptop. Apart from this present one getting slower and slower and showing off other wearisome tricks, the new Google Earth keeps complaining about my graphics card and only half works now. It won't show water of any kind so despite the words Gota canal that could have been anywhere on the screen. That's infuriating when the technology does things like that Ivy. I hope you find a way around it soon. Yes, buy a new box of tricks - time I plucked up courage and chose one. But the thought of transferring all the vitally important rubbish that I've got on this present one just terrifies me! Do you know (going terribly OT), when the time come for me to replace my first laptop which I'd bought in 1998 there seemed no way to transfer stuff. I was talking about it to my hairdresser and she said that her computerised friend emailed everything to herself then downloaded it to the new machine. Don't laugh! But I tried it and it worked. Then it is my turn again. No, but some may think so. Might this be Burma, or Myanmar I should say? Or a spot of trekk in Philippines? Not in the Philippines, but closer than Burma. PS> Sorry about late replies today. hmmm... those guys look Nepalese..... 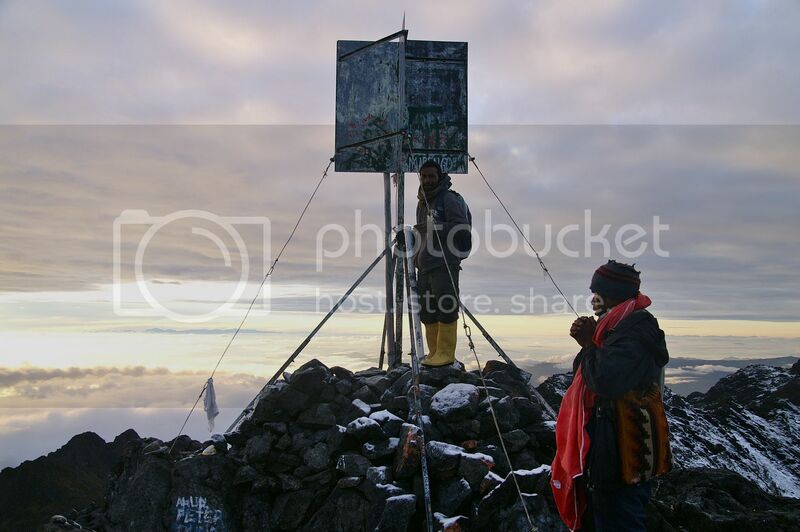 I think we might be in Nepal on or near the Himalayas... not Mount Everest, but another peak perhaps? Not Nepales and not the Himalayas. 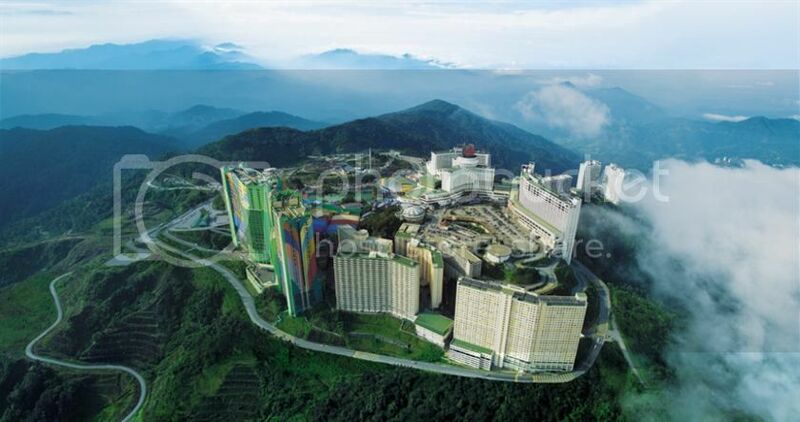 Malaysia - Genting Highlands in particular? Oh yuk! But anywhere else in Malaysia? Lots of Singaporeans go there to gamble, even though there are now two casinos in Singapore. I have never been up there, and never felt an urge to either. No, it is not in Malaysia, although the highest mountain in S.E.Asia is located in Sabah, East Malaysia. It has got awfully quiet on here. What happened, nobody want to venture a guess, or ask for clues?? - It is not South America. - It is not in Malaysia. - it is not in the Himalayas. - It is not in Asia, although some MAY thinks it should be. - It is closer to the Philippines than to Burma. Does that make it Indonesia then? No, not Indonesia, which is part of S.E.Asia. But you are getting closer. Last edited by janihudi; February 14th, 2018, 11:58. Yes PNG, but which mountain top? ?